Archaeologists have made a landmark discovery that could help answer the question that has puzzled Irish historians for over 200 years. Could an invasion of Ireland by Napoleon's French forces have succeeded and triggered Irish independence more than century earlier than it was actually won? 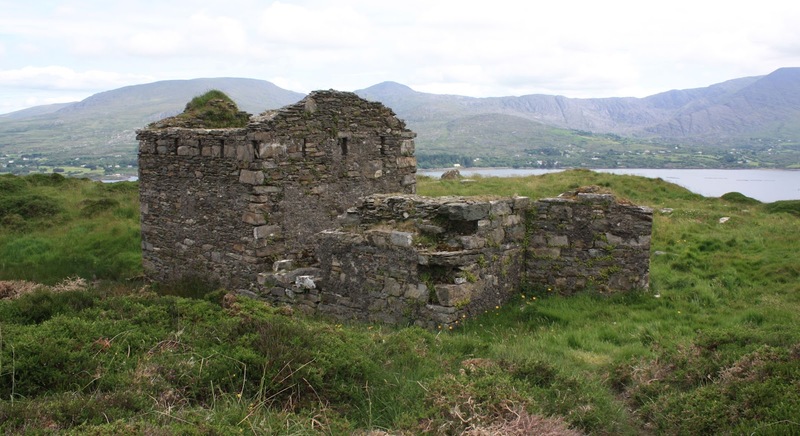 A team of experts -- led by Rubicon Archaeology -- has discovered a near pristine gun emplacement on Bere Island in west Cork. They have also revealed tantalising hints that Britain's coastal defensive network was much more formidable than first thought -- and would have left the French facing their own 19th Century version of D-Day and Germany's Atlantic Wall. Until now, it had been presumed that only bad weather, poor planning and luck had kept crack French troops away from the Irish coast. Rubicon's Damian Shiels said that, over the next month, they hope to be able to piece-together the precise defensive network that the British put in place to foil a feared French landing. "It is very exciting -- we have only really begun our excavations and we've already uncovered a gun emplacement that would have featured two 18-pound cannons," he told the Sunday Independent. For the first time, a major excavation and survey will involve locals -- and Bere Island residents are being encouraged to participate in the archaeological works from July 27 to August 11. "The local community will be helping to produce the results that will benefit both archaeology and hopefully their own efforts to attract people to the island," he added. The survey -- which has been funded by the Heritage Council -- aims to focus attention on Ireland's 18th and 19th Century military infrastructure, an area that has been largely neglected over recent decades. While Ireland's Martello Towers are iconic remnants of the Napoleonic era, the precise effectiveness of Britain's coastal defences against the French has long remained a source of controversy. Some military historians believe that a properly organised French invasion would have met with initial success -- and pointed to the incredible victories briefly enjoyed by a tiny French force in Mayo under General Humbert. However, Mr Shiels and his 20-strong team believe that the coastal defences ordered by Britain from 1790 to the 1850s -- and inspected by none other than the Duke of Wellington, Arthur Wellesley -- may have been very effective if operated properly. "The gun emplacement we have excavated boasts stunning views out over Berehaven Bay -- if the gunners knew their stuff, any boat coming into range would have had a major problem," he said. The closest Ireland came to a major French invasion was in December 1796 when United Irish leader Wolfe Tone arrived in Bantry Bay with 15,000 French troops. However, bad weather and poor leadership meant the landing didn't happen and the fleet sailed back to France. A furious Wolfe Tone said they were close enough to Bantry to have thrown a biscuit ashore. A French army did land in Mayo in 1798 under General Jean Joseph Humbert. However, the force included only 1,000 French troops and, after surprising initial success, was defeated by a much larger British force in Leitrim.